“House of Cards,” which helped transform the way we watch TV, is meeting a particularly unceremonious end. The companies announced Monday that the show’s forthcoming sixth season would be its last. The show, which premiered in 2013 as Netflix’s first original series, paved the way for the company — once known for its DVD mailers — to pioneer the streaming TV era. “House of Cards” was an early binge-watching favorite and proved that streaming services could contend with more traditional networks when it came to accolades, racking up nine Emmy nominations in its first season. Netflix has said the decision to end the show after Season 6 was made months ago. But the cancellation news arrived on the heels of an explosive BuzzFeed interview in which actor Anthony Rapp alleged Spacey made a sexual advance toward him more than 30 years ago, when Rapp was just 14. Hours later, Spacey responded to the accusations on Twitter with a two-paragraph statement that has been met with widespread criticism, particularly from the LGBT community. Spacey said he did not remember the encounter but was “beyond horrified” to hear Rapp’s account. 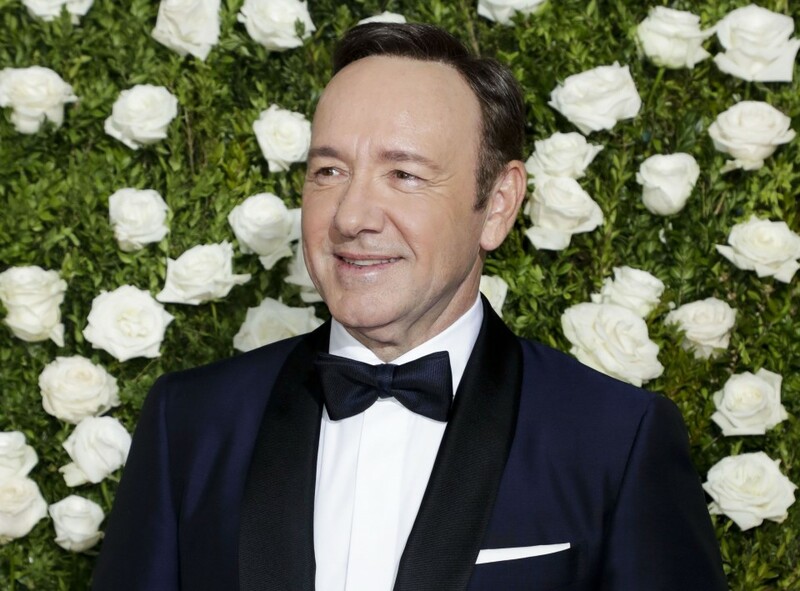 “If I did behave then as he describes, I owe him the sincerest apology for what would have been deeply inappropriate drunken behavior,” Spacey wrote. Spacey was immediately slammed for coming out as gay while addressing the very serious allegation that he had made a sexual advance on a minor. “Coming out stories should not be used to deflect from allegations of sexual assault,” GLAAD President Sarah Kate Ellis said in a statement. Others criticized Spacey’s implication that it was his choice to be gay. The International Academy of Television Arts & Sciences announced Monday that it is withdrawing a special Emmy Award that Spacey was to receive Nov. 20. Throughout five seasons of “House of Cards,” Spacey has carved out an iconic role as politician Francis “Frank” Underwood, who ruthlessly used murder and manipulation to achieve his dream of reaching the White House, only to resign in disgrace. The show’s most recent season saw his wife, Claire (Robin Wright), become the nation’s first female president. 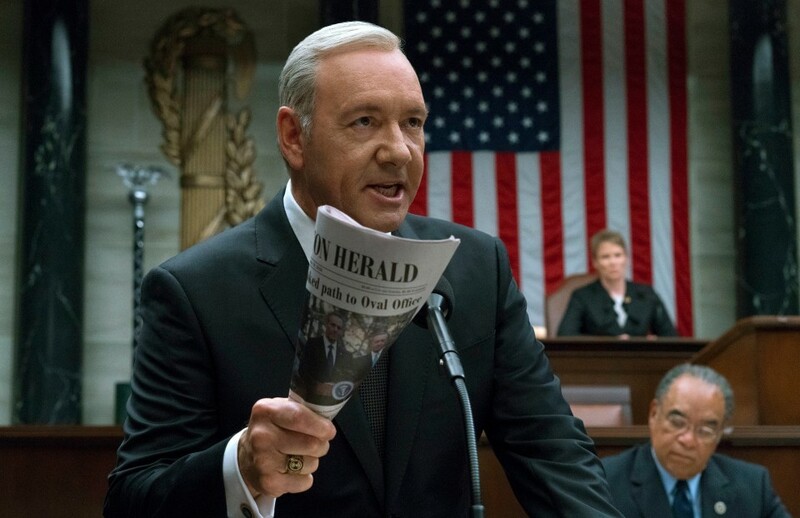 In addition to luring the Oscar-winning Spacey to TV, the show also nabbed director David Fincher (of “Fight Club” and “The Social Network”), who won an Emmy for directing the pilot. Netflix made a big gamble by ordering the first 26 episodes at once, with a reported budget of $100 million. Despite the Spacey controversy, Netflix doesn’t appear to be completely ready to let go of its flagship series. Variety reported Monday that the streaming company and Media Rights Capital are developing multiple spinoff ideas for the drama, which has continued to garner awards-show buzz despite growing criticism about its narrative issues. “House of Cards” was up for best drama at this year’s Emmys ceremony, with Wright and Spacey both receiving lead acting nods. According to Variety, one such spinoff idea revolves around Underwood’s former chief of staff Doug Stamper, played by Michael Kelly, who also landed an Emmy nomination this year for his supporting role.